The Weeknd led the pack of winners with Best R&B/Soul Male Artist and Album of the Year while Mark Ronson Ft. Bruno Mars also took home two awards for Video of the Year and Song of the Year for “Uptown Funk.” Artists were honored in 12 different categories and additional winners included Jidenna (Best New Artist), Kendrick Lamar (Best Hip-Hop Song of the Year), Tyrese (Centric Certified Award), and more. The full list of winners is below. During the star-studded broadcast L.A. Reid presented Kenny “Babyface” Edmonds with the Legend Award. After accepting the accolade, the celebrated producer and R&B legend performed some of his classics with Brandy, Fantasia, surprise guest Bobby Brown, Boyz II Men and Tevin Campbell. Jill Scott was presented with the first-ever Lady of Soul Award with a special tribute video from industry’s top executives and artists such as Whoopi Goldberg, Usher and more speaking to Scott’s energy and creativity. Scott blew the crowd away with a selection of her most beloved hits including “Back Together,” “Long Walk,” “It’s Love,” “Golden,” “Cross My Mind,” and “Whatever.” Additional singers that took the stage were Tyrese, Jeremih, Cameo, Lion Babe, Jazmine Sullivan, Erica Campbell, V. Bozeman, Tasha Cobbs and After 7. R&B favorite R. Kelly closed out the show with some of his hottest tracks including “Your Body’s Callin’,” “When A Woman’s Fed Up,” “Ignition,” “Mind’s Tellin’ Me,” “Step In…” and his brand new single “Backyard Party,” throwing his own dance party on stage to celebrate. 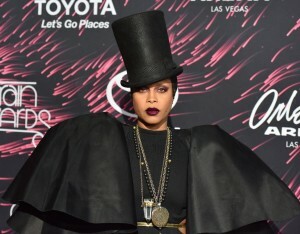 Alongside all the amazing performances, Erykah Badu, Chrisette Michele, K-Ci, Lalah Hathaway and Eddie Levert appeared in the first-ever Soul Train Soul Cypher.